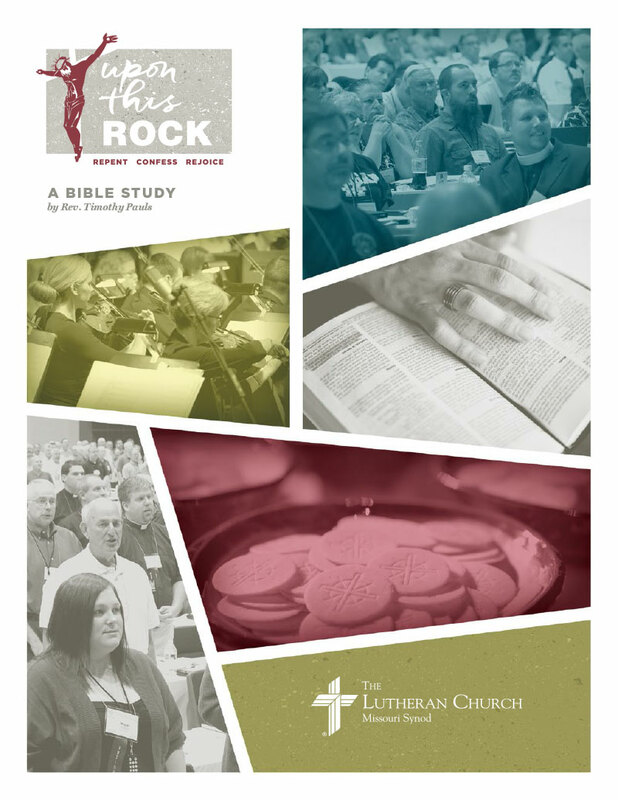 In preparation for this summer’s 66th Regular Convention of The Lutheran Church—Missouri Synod, a special Bible study that relates to the convention theme, “Upon This Rock,” is now available. Prepared in six parts, this study is particularly appropriate for congregational or group use during the Lent or Easter seasons. As you move through the study, you will learn more about what it means to repent, to confess and to rejoice. This includes an in-depth examination of Matt 16:13-28, 1 Peter 2 and more. On this Rock – This part of the study examines Peter’s confession of Christ and identifies the Rock on which the Church is built, that we might rejoice in the certainty of salvation. The Rock at Work – This part of the study explores the work of Jesus, as He reveals it to His disciples, and rejoices in what the Church is given to do because of what Jesus has done for us. Living Stones – This part of the study takes a quick look at Old Testament prophecies about Jesus as the Rock and explores who we are in Christ, both as individuals and together as the Church. Built to Repent – This part of the study defines repentance, explores some texts of Scripture to see God’s gift of repentance at work while celebrating the Christian life as a life of repentance. Built to Confess – This part of the study defines confession and promotes a deeper understanding of what it means to confess our sins and confess the Christian faith. Built to Rejoice – This part of the study examines how joy is possible for Christians in all situations.